"... an engaging, hilarious and at times tender look into the life of one of music's most accomplished guitarists and session players... The Gospel According to Luke is more than a time capsule of life, love and redemption. It's a treasure trove of information for anyone wondering what it was like being in the studio and working alongside some of the greatest artists, producers and engineers in music history." "Luke is one of my favorite guitar players on the planet, period! There's nothing he can't play. Equally apparent is the incredible musicianship that accompanies the craft, soulfulness and heart that comes out of him. No wonder he's had this incredible career!" "The Gospel According to Luke doesn't hold back. It is pure Luke. Raw, witty, funny, and yes, profane... It's that honest and unfiltered approach to the book that made it so enjoyable... There are moments in the book that made me laugh out loud... Then there are moments that hit you in the gut." 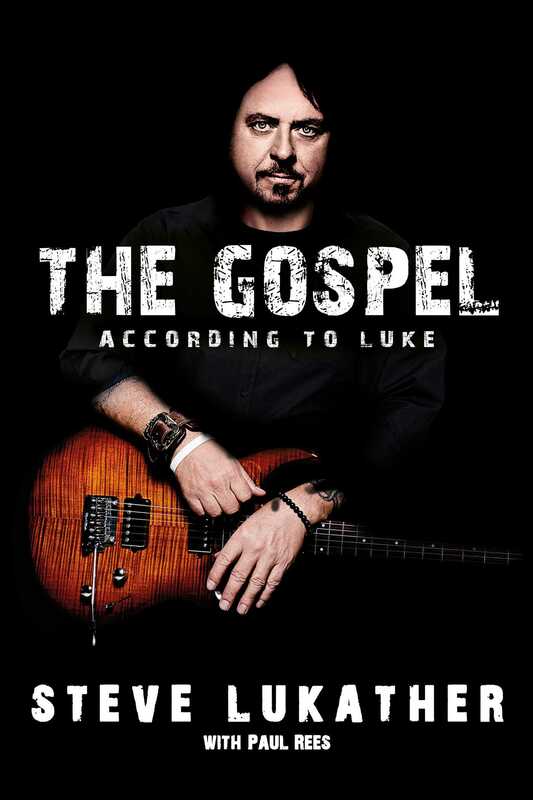 "Toto's Steve Lukather holds to no line in wild new memoir... one of the most entertaining rock memoirs of recent years... while many chapters in The Gospel According to Luke are not fit for lessons in any traditional Sunday School, it's a course all its own in the School of Rock." "Steve Lukather, also commonly known as Luke, has lived a rock star life since 1977. He tells it all in his new autobiography, The Gospel According to Luke. It's an honest, raw look at the guitarist's music, his band Toto, drug addiction, sobriety and more." "The Gospel is more than just an affecting memoir, it's a musical roadmap on how to stay at the top of your creative game. In a world of overnight celebrity and forgotten internet influencers, Lukather earned his 'guitar wizard' status the old-fashioned way. He worked for it. HIGHLY RECOMMENDED."